Our store has home study courses ultimately aimed at happiness. "How is that?" you may ask. (1) Each of them work on your body, your nervous system and your health. So you get physical happiness. (2) Everything we offer is a preparation for meditation, whether it is chanting, guided meditation, Yoga-poses or correct breathing. All of them calm your mind, increase your focus, and get you to be in the present. Thus they aid you in the meditation process. Meditation is the gateway to happiness. When you are in a meditative state, you connect to the very source of happiness within you. Thus each course in its own way increases your happiness level. Pick any; you won't be disappointed. If you are, then it is on us. There are many branches of this tree of Yoga. Practicing a bit of any of them will help you get the best out of your life in terms of improved health, enhanced brain and heightened fulfillment. We have authentic programs and courses no matter where you are in your Yoga journey, even if you haven't begun the journey still. You can jump start your Yoga practice from the comfort of your home or in person or even train to become a Yoga teacher here. It is all up to you. Even if you already have a Yoga teacher certification, you can benefit from our services, as many topics would not have been covered in such depths in your earlier study. Yoga for Happiness Academy has been volunteering for the past 10 years for the cause of the children. It donates part of all sale proceeds to BBA, a Non-Profit (www.bba.org.in), which works for the freedom and education of enslaved children. 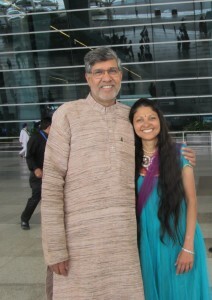 Its founder, Kailash Satyarthi, won the 2014 Nobel Peace Prize. So your investment in your "inner freedom" through these programs helps unlock the "outer freedom" of innocent children and leads to good Karma. Shanthi, along with her daughter, visits these children every year to hand over the collected amount in person and to see for herself the progress made. Humans need food, water and air to fuel their activities. While food and liquid forms are given much importance, breath through which air is consumed is given the least importance. This program fills the gap by teaching you the right way to breathe. Were you always breathing this way? No! As a toddler you were breathing right. As you face life with its stresses and challenges, the breathing pattern may have changed. Now is the opportunity to ensure you are breathing right! If you are not, you can learn how to correct it. If you do nothing else in Yoga, but just practice proper breathing for a minute or two every day, you would be doing a great lot to your body, mind, brain and spirit. Mantra repetition is the simplest yet most powerful technique to focus the chattering mind and calm it down. You can simply listen to the tracks while in car or while cooking at home to raise the vibration level. You can also learn to chant so that the same high vibrations can emanate from you. 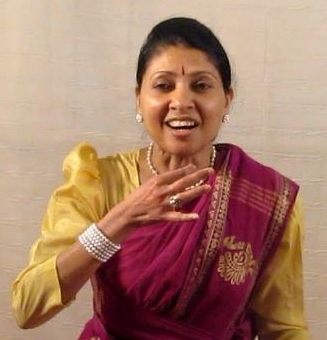 The challenge with most chants is in getting the pronunciation of Samskritam sounds correctly. In this download, that problem is eliminated as the chant consists of just 3 simple words. Guided meditation is a simple way to begin your meditation practice. Many want to incorporate meditation in their life, but find it very challenging. You can now utilize the working of your brain and the power of your thoughts, to experience and enjoy the positive effects of meditation on your body, mind, brain and spirit. You can use the digital tracks to understand more about meditation and to relax your body completely or to relieve body pain. Listen to a sample track hereExtract from Meditation 3 "Renewed by Sun"
Learn Authentic Yoga from the comfort of your home in such a way that you never have to re-learn it ever again, for, all you will be learning thereafter is more poses. Saaram in Samskritam indicates "Essence". 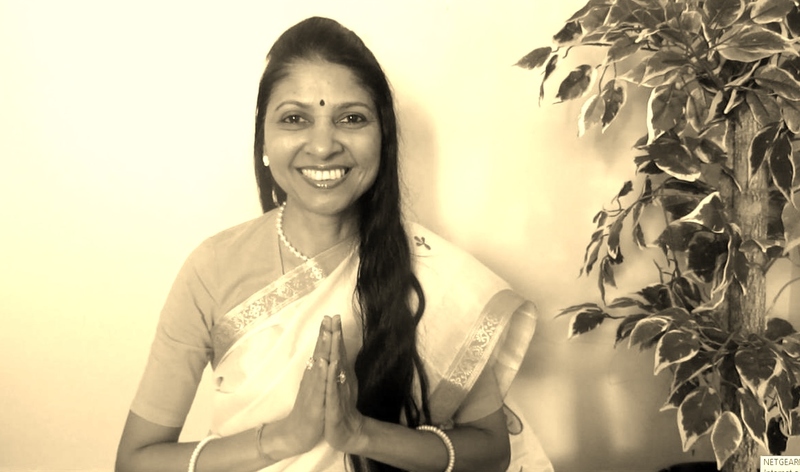 YogaSaaram meaning "Essence of Yoga" is an in-depth Yoga training that Shanthi conducts in person. 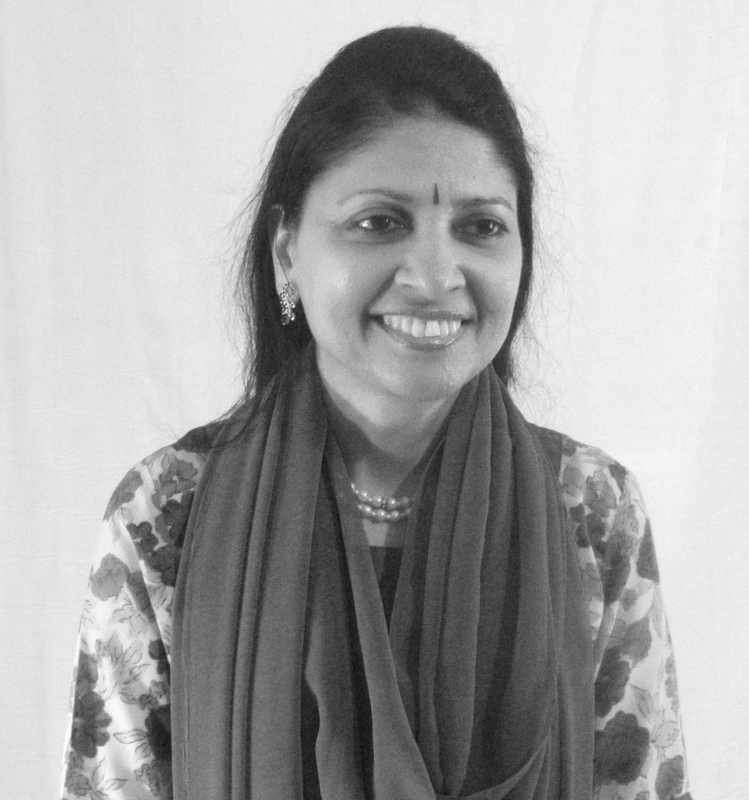 In that she covers all the major branches of Yoga, philosophy, Indian lifestyle, Samskritam- the language of Yoga, meditation, life purpose, mind mastery, Yogic eating, cooking, eternal values, breathing techniques, Yoga texts, chanting with proper Samskritam pronunciation, and many other aspects that impact the life. "YogaSaaram First Lessons" is the FIRST hour of that course and is the essence of authentic Yoga in its simplest, pristine & purest form rendered in 1 Hour. It offers a mini 13 minute Yoga practice encompassing 5 aspects of Yoga namely chant, poses, awareness, relaxation and meditation. NOTE: It is NOT a 1 hour "Copy the Instructor" kind video filled with fitness exercises in the name of Yoga. 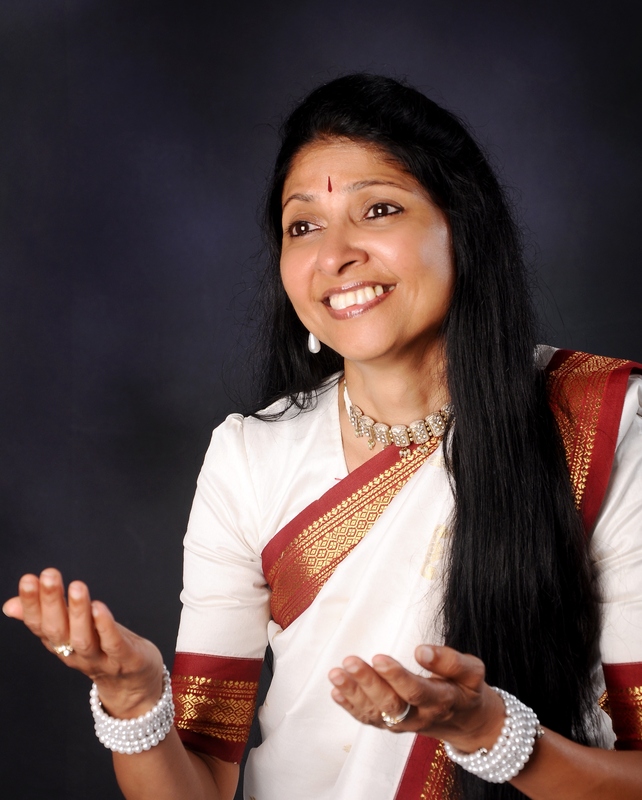 Have you ever wondered why most chants are in the language of Samskritam? Do you like to know the science behind Indian deities? Have you ever wished you knew the word by word meaning of the chants, their correct pronunciation and a means to learn them properly? Then you are in the right place. YogaDhvani is a unique, Educational audio series in English, that takes you on a Divine Journey by funneling your energy from racing thoughts, anxiety, and worries to a single point of focus and clarity. Most typical chant CDs don't educate you about the chants. They don't tell you the importance of your correct pronunciation. They leave you with the false notion that if intentions are right, mistakes don't matter. This educational CD set fills the gap left by other CDs. 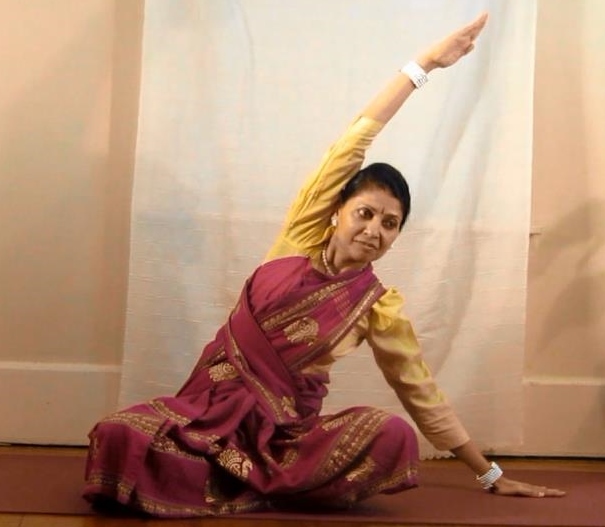 Indian dance is a minor stream of Yoga and is called "Naatya Yoga" (Yoga of dance). Though the dance form is highly complex and intricate, only some poses and hand gestures (Mudraa) are adopted here while still retaining the authenticity of Yoga. The course is fun, creative and one-of-a-kind since hand Mudraas lend way to story narration while doing the poses. It is a journey on multiple levels. Most typical videos and DVDs are "Copy the Instructor" kind. This course fills the gap by providing everything you need for an independent practice. The training is completely shot outdoors, and the education is supported by visual slides.